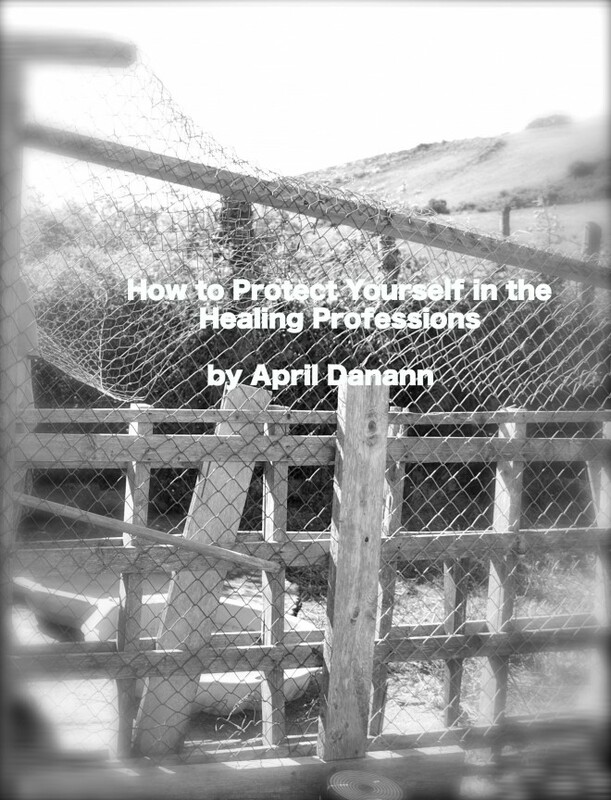 April Danann's downloadable mini courses are based on her books, but give additional insight and resources for those who want to explore the subjects she covers in more depth. As well as digital versions of her books, there is audio content and bonus material. For €49 (+ VAT) you receive 4 files of material including over an hour & half long audio that can be listened to again and again. The audio walks you through the technique as well as an in-depth explanation of all things energy, extra, new material not included in the book. Closing the Energy Leaks(c) or Windows is a technique that has been taught to many thousands of people over the past 2 decades. This is one of the most life enhancing and mind changing things you can do for yourself as well as for others. For those who are working in the healing professions - counsellors, healers, therapists, teachers, Yogi masters and otherwise walking a higher path, this book, notes and audio is for you. April breaks down the steps to Closing the Energy Leaks in your body and life, walks you through the energy field and how it all works together. Perhaps you are ready to take your life to the next level or are fed up with feeling tired or not yourself. It's time to get things moving. For €59 (+ VAT) you receive 2 files; a copy of the book and an audio file that you can listen to again and again. April, thank you for this wonderful book, an empowering message to all women....this book connects and resonates with me in it's realness and simplicity....and reminds me to always listen to the whispering voice inside. MK. A revolutionary way of living, thinking and being a woman on a mission - plan to decode your unique destiny and find your purpose through creating your own business. This workbook walks you through the process of owning your creativity! April's passion for supporting more independent women in the world spills over onto these pages.....with over 10 years running a sucessful market stall and 30 years in clinical practice, April has created a book to enable you to go deeper into your own DNA to uncover your true destiny. We are born for this time and we are here to succeed! Create the life you've always wanted, it starts with you. For €49 (+ VAT) you receive 4 files - 2 audios of material not found in the book to further this important discussion with you, as well as the work book and an extra bonus on Energy Attachments. Perhaps it's time for all of us to know how to mind ourselves better - the times we live in call all of us into action, physical, mental, spiritual as well as energetic. My book, Universal Energy Laws has been expanded, more to work on, ponder and things to know and consider when it comes to your energy field. If you would like to know, understand do more to take your own self care to the next level....this is one of the best little courses you can possibly do. Do it for yourself, you need to know who you are.